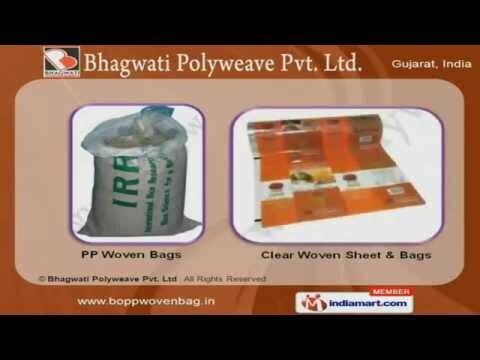 Welcome to Bhagwati Polyweave (P) Ltd., Manufacturer & Exporter of Polypropylene based Products The company was incepted in the year 2005 at Surat. Our products are applicable at fertilizers, sugar, cement & other industries. Assured quality, free sampling policy & thorough inspections of quality are the striking features of our company. We are engaged in offering Bopp woven Multi colors bags & PP (Polypropeline) Fabrics. Our PP woven, clear woven sheet & bags are manufactured under expert super vision. We offer laminated fabrics, sacks & leno bag at competitive prices. Along with that we offer PP woven color fabrics & bags that are a class apart. Our Woven shopping bags & tarpaulin are manufactured using superior grade raw materials. We also offer bopp, sugar & spices carry bags that are one of the best in the industry.